Love The Outdoors? Go Snowshoeing! A romantic snowshoe for beginners is a delightful winter getaway. 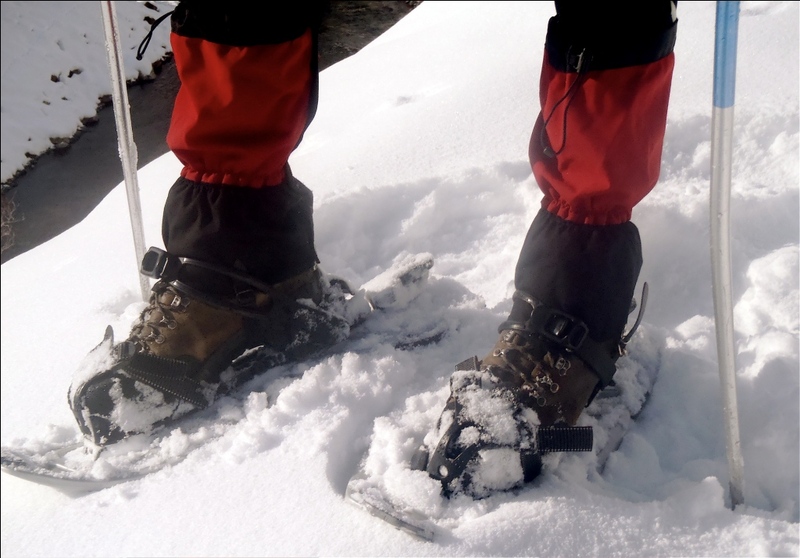 Our snowshoe trails are perfect for beginners! Meander through our acres of trails that open up to majestic views and roam under the snow covered trees; it’s truly a breathtaking experience. Let us welcome you with a chilled bottle of Prosecco and our local Artisan cheese platter in your cozy guest room. Awake to homemade muffins and the hot entrée of your choice to start the day. 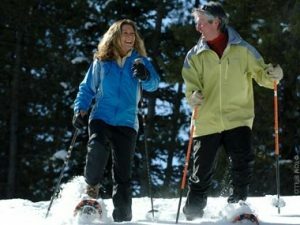 Then, get ready for a snowshoe on our ten acres…don’t worry, we’ll show you basics so you can head out and enjoy the air, the sun, and the views. 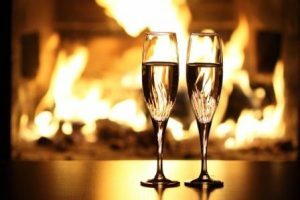 Make sure you are back before sunset, so you can enjoy a drink by the crackling fire before you feast on our award winning cuisine. 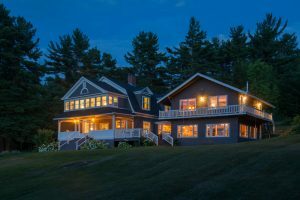 The winter weather in New Hampshire can be quite unpredictable, especially at night when the sky is clear for the full moon. We suggest warm clothes and have other suggestions for packing for your trip to visit us. Click here. Head up the rock pile is style! The Auto Road 1s closed to automobile travelers in the winter because of the extreme conditions. But this is best time to experience the wild of mother nature. Take a ride up, enjoy the view, and tour of the observatory. It’s a truly wild experience. A classic New England pastime. Crystal Lake always has a cleared rink and it’s just around the corner. If you prefer to skate with shelter, King Pine Ski Area has a covered rink and Ham Arena offers skating indoors, all with in minutes of Snowvillage Inn. Romancing in the mountains. Come join us for a “Just the Two of Us” weekend and add a sleigh ride through the mountain trails. Just let us know, we will make your reservation and provide the hot chocolate!